My husband is on his laptop and looks up when I enter the room. "Our daughter stayed up until 10:30pm studying for a test she had already been studying for for days." I explain. Here's an ironic thought. 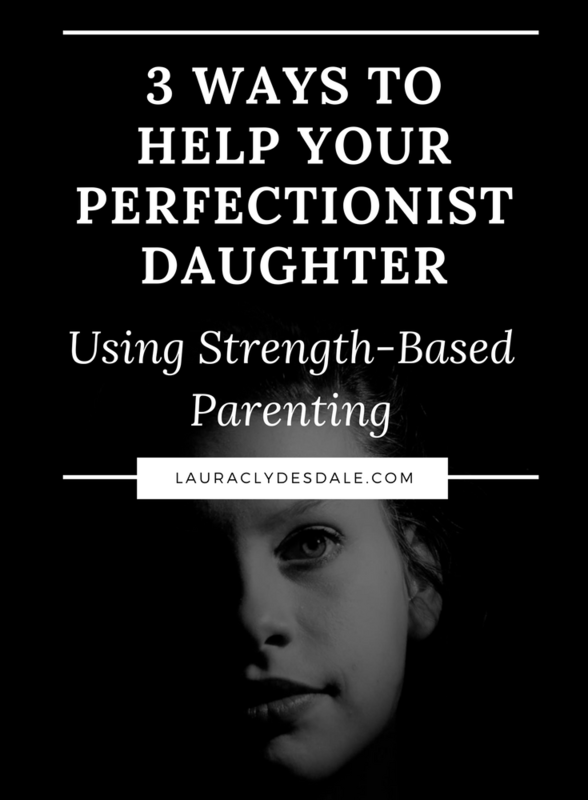 Because girls suffer in much greater numbers from perfectionism than boys, I have to wonder if focusing on perfection as a weakness is actually just reinforcing our daughter’s penchant for zero mistakes. In other words, what is the 'perfect' level of perfectionism? Besides, it feels strange to discourage such strong skill sets such as 'Focus,' 'Accountability' and 'Achievement.' How do we walk the fine line between applauding these strengths while pointing out their ugly underbelly? I also worry about a bigger concern: a constant focus on weaknesses vs. celebrating strengths in my child could cause my daughter to think “Mom only sees the negative and never the positive.” What mother wants their child to think that? It isn’t true. But it might seem that way due to where we put most of our effort during the limited time we have with our kids. Lea Waters, author of The Strength Switch: How the New Science of Strength-Based Parenting Can Help Your Child and Your Teen to Flourish says we are forgiven because this focus on weaknesses is not only natural but is a survival mechanism wired into our brain. This makes sense since our ancient ancestors were ever on the lookout for something wrong. Noticing something ‘just not quite right’ often was the difference between life and death. Fortunately, we don’t have to worry about spotting poisoned berries or saber-toothed tigers anymore. However, because our brains are so negatively biased, we spend an awful lot of time in fix-it mode with our kids. “We spend more time correcting what is wrong — zeroing in on weak spots, overcoming their faults and what is lacking in them,” says Waters. Waters challenges parents to fight against their natural instincts and focus instead on their children’s strengths. To focus less on what is missing and more on their talents, skills and positive aspects of their personality. For instance, your child comes home with four A’s and one D. Where are you compelled to spend most of your time with your child? On the D of course! This feels like the right approach because we believe this grade is the one thing holding her back. “The question, though, is what happens when we place disproportionate attention on the D? Does so much attention on the lower grade help the girl improve? What if we addressed the D, but put four times as much attention on the successes she’s having? 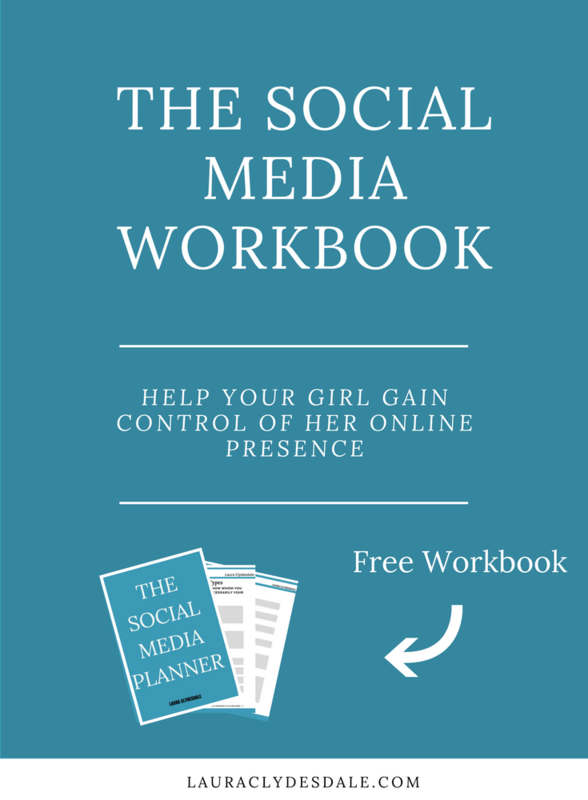 What if we helped her see how she might apply some of the abilities she’s using to succeed in her other classes to assist her in the one where she’s struggling?” says Waters. She recognizes that this is easier said than done. It will be even harder for me. There is a fundamental tenet of both process improvement and leadership development I seem to have forgotten. When we focus on eliminating only weaknesses, we can only improve the process or person from low to a sort of average. If instead, we identify, focus on, and leverage strengths, we can attain better consistency and success. I’ve forgotten that, in fact, each person’s greatest room for growth is in the areas of his or her greatest strength. How do they know? Data backs their conclusion. With the help of The Gallup Organization they asked 200,000 employees across 36 companies: “At work do you have the opportunity to do what you do best every day?” They then compared their responses to their business’s performance. There was a powerful correlation. Research proves a strength-based approach provides children with: greater levels of happiness and engagement at school, and higher levels of academic achievement. It has also been proven to help adults find: higher levels of happiness at work, greater likelihood of being happy in your marriage, engaging in healthy behaviors (e.g., healthy eating, visiting the doctor), better recovery after illness, increased levels of life satisfaction and self-esteem, reduced risk of depression, and enhanced ability to cope with stress and adversity. To start on my transformation from weakness to strength focus, I first needed to figure out my child’s strengths. DO YOU SEE PERFORMANCE? “Watch for when your child shows above-age levels of achievement, rapid learning, and a repeated pattern of success. Examples: The young child who, within a short time of picking up a baseball bat, is routinely making great hits. The grade-schooler who buries her nose in books and uses more complex words and sentence structures than her peers. The teenager who consistently displays a more sophisticated understanding of emotions than most adults." DO YOU SEE ENERGY? “Strengths are self-reinforcing: The more we use them, the more we get from them. They fill us with vigor. You’ll notice your child has abundant energy when using a strength and probably loses track of time when engaged in it." For instance, if your child has a talent for art, watch her when she’s drawing or painting. Look to see if she rarely gets tired while being artistic. OK, that’s all fine and good but what about weaknesses? Well… Waters suggests that we continue to build more strengths rather than focus just on weaknesses. We should work first on several strengths that aren’t core. For instance, there are Growth Strengths which have potential but are only used occasionally. They can grow with practice. There are also Learned Behaviors which kids “add in” due to school and world requirements. Your children are motivated to do them to please others or to operate more smoothly in the world. Only lastly should we work on Weaknesses. I will try to applaud my daughter's tenacity and focus while reminding her that there are limiting returns at a certain point. I will celebrate how goal oriented she is while also educating her that the attempt is more important than the result. I’m ready to look more holistically at my children. Old habits die hard, but I’ll start by reminding my kids that everyone has strengths… and everyone has weaknesses. Newer PostAre Parents To Blame For A Child's Fear Of Failure?